I was an English major, raised by an English teacher, so of course I believe words matter. 1. Training: Although the term, "board training," is very accepted, some board members are averse to the concept of being "trained." Maybe it is reminiscent of "potty-training," but it can have an insulting implication that you need to be trained because you don't know what you're doing. 2. Educate: What about those who don't want to be "educated." People who are already knowledgeable of your organization may want a deeper level of understanding and commitment. Let's take the next step. What is the higher degree of involvement? 3. Give: "Give Now" wins my award for the most over-used and ugliest term in fundraising. Most "Give Now" buttons on nonprofit websites send users directly to a giving page demanding a credit card or PayPal payment. This can be such a turn-off. What if I don't want to give right now, but I want to learn more about giving to the organization? "Contribute" is a much nicer and softer sounding word. Our sector must do a better job of warming up potential supporters by inviting them to get to know us before we solicit them. Rather than lunging for their wallet, direct a call-to-action button to a landing page designed to share compelling reasons for giving, and highlighting current needs. 4. Fundraising: While we're at it, the term "fundraising" itself has some not-so-pretty connotations. Think garage sale, kids selling candy for school fundraisers, quotas of raffle tickets for board members to sell, soliciting door-to-door. These images of transactional methods of "asking for money" are not what we as nonprofits are about. We are about improving people's lives in meaningful and transformational ways. Let's use a better word  with a meaning that truly translates, "love of humanity." 5. We need…: Nonprofits always seem to have needs. Whether it's as blatant as a wish list, or a list of campaign objectives or programs to be funded  these are not YOUR needs. The organization does not have any needs; the community you serve has needs, and if you're executing your mission, you are best suited to meet those needs. 6. Deal-killer: A wise friend once advised this change in terminology. If we speak in such stark terms as this, the conversation is over. Nonprofits don't need this language; we must communicate that we are open and receptive to ideas. 7. Donor: You might not think this is a bad word, and it's not; but it could be softened a bit. Consider more kind and interesting ways of referring to those who support and invest in our organizations. 8. Major Gift Officer: Fundraisers have named themselves all sorts of titles, from Director of Development on down the line. But who wants to be visited by the MGO, who you know by their title is there to ask you for a "MAJOR gift?" That can be an intimidating job title. 9. Ask/Solicit: Most people have a misconception that fundraising is all about asking for money; whereas the "ask" is actually a very small percentage of a professional fundraiser's time allocation. Philanthropy professionals and board or campaign leaders are better served to talk more about sharing the stories of their organizations and listening to potential supporters than focused solely on the almighty ask. 10. Cost: Like marketing, development can be seen as a cost. Short-sighted leaders tend to focus only on line-items in a budget, missing the bigger picture of the results of making investments in these roles. 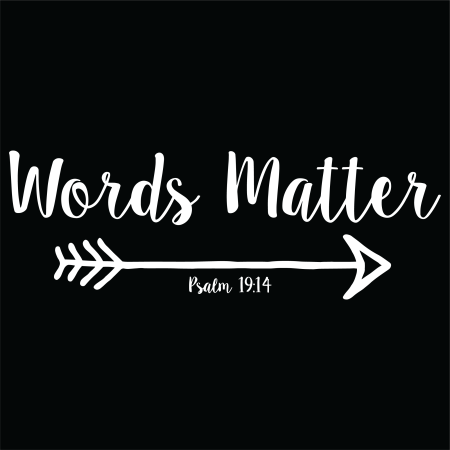 It matters too, not only what you say, but how you say it. These subtle word tweaks can help, but the tone with which they are delivered makes all the difference. There is no replacement for genuine sincerity and belief in your cause. Let these words help share your stories and broaden your relationships.